With the arrival of warmer days, I can't help but recall the Spring weekend our family spent at a Northwestern Ontario fishing lodge many years ago. I was organizing a medical conference there so our mini-vacation was gratis. 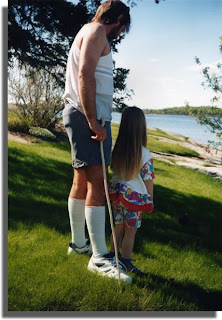 Daughter was only four, but that didn't stop hubby from wanting to take her fishing off the dock of the Marina. In preparation for the event, he poured over store shelves; re-stocking his supplies of hooks, lures, lines and anything else he thought they would need. She picked out her very own kiddie rod and reel. He purchased a fishing license. He was determined that father and daughter were going to bring home dinner that weekend, even though we had a formal dining room with world-class chefs awaiting us back at the Lodge. The big day came. 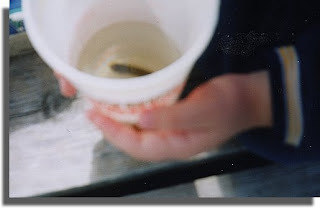 Early one sunny morning we lugged the tackle boxes down to the lake, hubby stopping off to buy minnows on the way. As he began to assemble the gear, daughter took charge of the minnows. Crouching low over the pail of live bait, she was entranced and proceeded to NAME them. For when hubby tried to retrieve one to place on the hook, of course daughter freaked out. "Ahhh!!!! No Daddy! Not Pickle!!!!!" 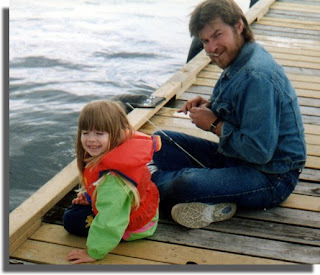 That marked the abrupt end to the Great Father-Daughter Fishing Derby of 1995. Even though she pleaded with us to bring them home as pets, we convinced her they should be "set free" in the lake. So she dumped the pail of minnows over the edge of the wooden dock, cheerily waving, her high little voice bidding them farewell. As we turned to leave, my disgruntled husband swore he saw his catch jumping out of the water with glee as they gulped down the free meal we had just deposited for them. And daughter, oblivious to it all, simply skipped down the path to the Lodge, swinging her empty pail in delight. For her, that was the best "fishing trip" ever. I agree with ohmommy - totally sweet story! That is the best story. Thanks for the smile tonite! And thank you for stopping by my blog with such kind words over the past few days. You warm my heart, Maureen. 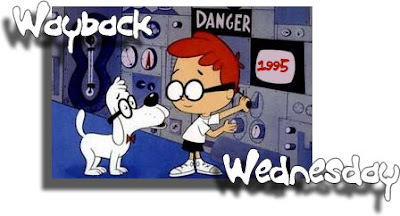 What a great post, a lovely childhood memory for you all to cherish..ok maybe not for hubby! ...and so starts the diverging paths between father and daughter. One goes off to nurture, and one goes off to hunt, and never the two shall meet (except at the dinner table). LOL! Funny story, Maureen! I remember going on a fishing trip with my grandparents when I was 11 on the Waterhen River in Northern Manitoba. We had gone with my Grandpa's best friend and the friend was catching pickerel left, right and centre. My Grandpa and I weren't catching anything, and I was getting very frustrated and very bored! Grandpa, sensing this, looked at me, held up a minnow and said in a wavering voice only he could produce, "If we don't catch anything soon, THIS will be our breakfast tomorrow!" Of course I started laughing and lost my frustration. Very soon after I hooked and landed my very first pickerel, a healthy 12 incher that weighed close to 2 pounds! Needless to say, we ate very well the next morning, and not one minnow graced our plates! LOL! I never did enjoy fishing as much as Grandpa did, but I will always cherish the memories of that trip. Thanks for inspiring yet another trip down memory lane! Great story. I remember when my daughter caught her first fish about a year ago. We gave her the option of throwing it back or preparing it for dinner that night. She chose to prepare it. At dinner, she proudly let everybody sample her catch. It was an enjoyable event. we recently took my daughter on her first fishing trip recently. It was so fun. except for the snake sighting. Awwwwww what a sweet memory. As soon as you said she named the minnows I knew hubby was not gonna get any fishing done..lol. Aw! My husband would've said something along the lines of, "Sorry about your luck Pickle". I can tell you, for certain, he wouldn't have tossed that bait! That's a lovely memory, Maureen; great photos too! I bet you must just look back and wonder where 13 years went! That's sweet! And what a great daddy for going along with it. My dad would have gotten mad at me and fished anyway. My son has no reservations about putting worms and crickets on hooks, but you do NOT keep the fish. It's catch and release only, thank you very much. VERY SWEET. And she was so adorable as a munchkin!! Your daughter had her priorities right and knew what the right thing to do was. Weren't you proud of her? OhMommy: It was quite the weekend, that's for sure! Janet: You're welcome. You're my online sister, even though we've never met IRL. My heart goes out to you. Phoenix5: What a great story!!! And I must admit pickerel is my favorite fish of all time. Glad I could spark your memory!! Brian: Wow, that is great! Welcome, by the way! Shamelessly Sassy: Yeah, snakes would have a way of putting a damper on things.... yikes!! Canadian Flake: Yeah, the number one rule of fishing: Never NAME the bait! Momo Fali: Well, she was just so darn cute... but I knew she was too young for such a life lesson. Karen Meg: How did you know? Yeah, 13 years have flown by... gad I feel old. Queen of Shake-Shake: I think boys have an easier time of baiting hooks and such; my daughter is like me, a soft spot for everything living. Ann(ie): She was so much fun, I can't believe she is all grown up so fast! Nora: VERY proud. And yes, we both would make terrible fishermen!